When a copywriter falls down the stairs and meets an untimely death at Pym’s Publicity the owner calls in Lord Peter Wimsey in disguise as his cousin Death Bredon. Working in parallel with his brother-in-law, a Scotland Yard inspector, Wimsey starts to poke around Pym’s convinced that the death was far from accidental. His investigation soon extends outside of the advertising agency to a circle of wild rich party-goers and a dope smuggling ring. But the more Wimsey probes, the more he unsettles his quarry, leading to a string of additional murders. 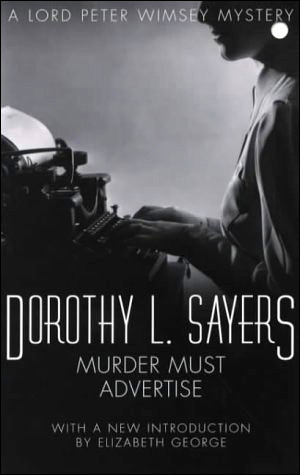 While I thought another Lord Peter Wimsey tale, The Nine Tailors, was first class I struggled through Murder Must Advertise for two main reasons. First, the story felt overly drawn-out, with whole sections either failing to move the story forward or barely doing so. Basically there were too many asides, or passages had long-winded detailing that were unnecessary. And while The Nine Tailors had the same style its asides were much more interesting. 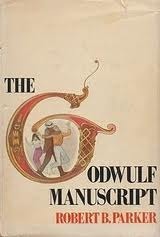 Second, I just didn’t connect with the characters, especially Lord Peter Wimsey who I found very tiresome especially in disguise as Death Bredon, nor most of people working at Pym’s Publicity, in part I think because who narrative is so classed with the world portrayed through a very particular upper class lens. Those issues apart, the mystery is okay if a little far-fetched. Overall, an satisfactory mystery tale, but not to my taste. On Thursday and Friday I attended the MacGill Summer School in Glenties, Donegal. It's an interesting event that's been running since 1981 and is unusual in that it is attended by senior politicians from all political parties, including government ministers (and this year the Taioseach [Prime Minister]), and by high profile journalists, with a smattering of academics thrown in. 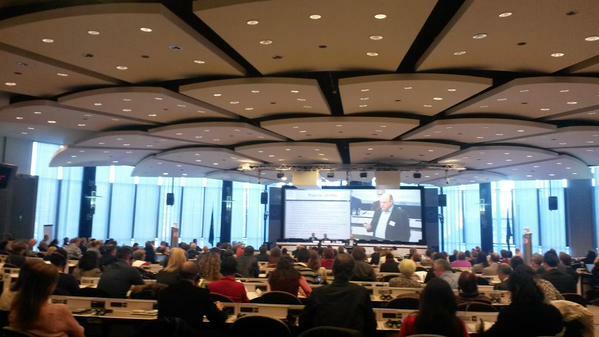 Moreover, it's cheap to attend (€20 a day), and the sessions are geniunely open to debate and views and questions from the floor. The sessions I was involved in on housing, planning and rural development were excellent in terms of setting out the present state of play and debating present and future policy. And to top it off I was housed in Meryl Streep's old room at the Highlands Hotel. Harkin slammed his hand down on the table making Malloy jump. Late 1960s Stockholm. On a cold winter night as a bus nears the end of its route a gunman opens fire killing the eight passengers and the bus driver. Amongst those killed is Åke Stenstrom, a young detective in Martin Beck’s team. Beck is assigned the high profile case and immediately comes under pressure from politicians and the media for a quick solution. However, clues are thin on the ground. Working on the assumption that Stenstrom’s presence on the bus is not a coincidence, Beck and his team chase down all leads, however tenuous they might seem seeking the vital breakthrough that will reveal the killer’s identity. But to solve one mystery they discover they must solve another. 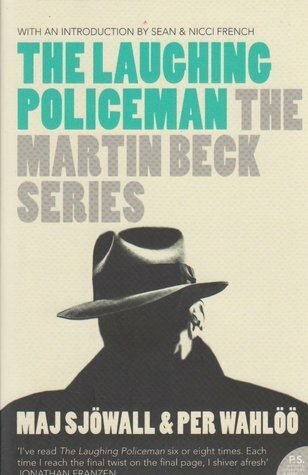 The Laughing Policeman is the fourth book in the much praised Martin Beck series. 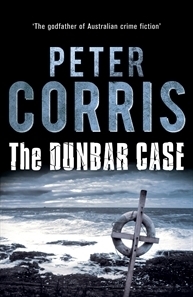 In my opinion it’s a masterclass in how to write a realist police procedural novel that does not rely on coincidence or plot devices to move the story along, nor does it concentrate on a non-conformist, lone cop (plus sidekick) who singlehandedly solves the case whilst coping with all kinds of personal issues. Instead, the case is solved through patient, diligent investigative work by a team of cops, involving a lot of footwork, collaboration, probing, leaning on informers, petty criminals and suspects, and wandering down blind alleys. It doesn’t get any racier with respect to the cops’ home lives, which are relatively humdrum and mundane. Yet despite this everyday realism the story is completely gripping as the dyspeptic Beck and his team inch towards solving the death of their colleague and eight other passengers shot late at night on a Stockholm bus. In my view the best book in the series so far. Detective Sergeant Lucy Black has moved to Derry so she can be nearer to her father. An ex-policeman forced away from the area at the height of the Troubles, he has returned home and now has dementia. Her estranged mother has also returned, but as Assistant Chief Constable, and is now Lucy’s boss. It’s not an ideal scenario and its made more challenging when Lucy is transferred internally away from CID at her mother’s behest. First at the scene of a reported sighting of a local girl who’s been kidnapped she’d discovered another younger girl walking in the woods in the snow in bloodstained pyjamas. Whilst CID search for the kidnapped girl, Lucy tries to determine who the young girl is and why she was in the woods. Tracking down her own leads she keeps circling back to the kidnapping, much to the chagrin of her superiors. But Lucy is her own woman and she’s determined to get to the truth of the little girl lost. After five Inspector Devlin books set along the Irish border, Brian McGilloway turned his attention to a new series featuring Detective Sergeant Lucy Black set in Derry. Like the Devlin books, the legacy of the Troubles haunts the tale, as it would for just about story involving the police in Northern Ireland, and McGilloway does a good job of weaving the past with the present. 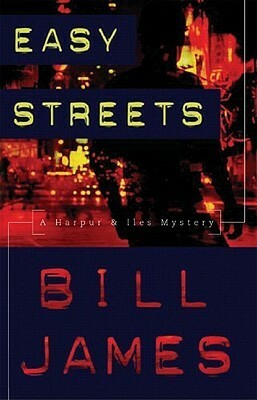 He also does a decent job of balancing the narrative between Lucy Black’s work and personal life, and in so doing ensures two strong hooks: a pair of interwoven police cases (a young girl found wandering in the snow in ancient woodland and a kidnapped teenager), along with the unfolding personal challenges of an engaging lead character. The result is a nicely constructed police procedural with a compelling plot, a good sense of place and time, and a great deal of heart. The only downsides were a little too many coincidences intertwining the professional and personal and an extra twist at the end felt a little forced. Nonetheless, a solid start to what seems set to be a strong series. August 1945 in the British occupation zone in Germany. Detective Inspector Silas Payne, a fluent German speaker, has been seconded from Scotland Yard to help train a new local police force, although his recruits are still interned. When two bodies are found in the cellar of house requisitioned by the army Payne starts to investigate, quickly encountering resistance from the local British personnel who do not want him interfering in their affairs. When a British soldier is killed, the commander and his deputy become convinced the murders are the work of still active Nazi resisters, so-called werewolves, seeking to undermine British authority. Payne, however, believes it is the work of a single killer with a history of murder. Whilst the army are chasing shadows, Payne employs his policing skills to try and track down the depraved killer who has used the war to hone his skills. 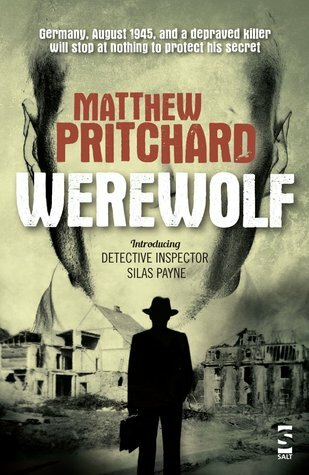 In Werewolf Matthew Pritchard joins together a story about the British occupation of the Western Germany and acts of profiteering, revenge, poor management, trying to place order onto a chaotic society and chase down war criminals, with a serial killer tale. At one level, it’s pretty well executed, except towards the end where it becomes a little ragged and a few loose ends are left hanging, on another level the serial killer angle felt like a different kind of story interwoven into an end of war tale; a kind of sensational twist to an already murderous war. There was, to my mind, plenty of interesting avenues to explore concerning the British occupation, Nazi war crimes and ratlines on their own. Nonetheless, the story rattles along at fair clip and its engaging fare, there is some nice contextualisation with respect to the period, and Silas Payne is a strong lead character. 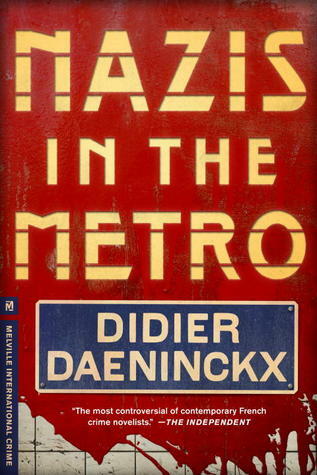 Overall, a quick-paced, tightly written piece of post-war crime fiction. Since the publication of The Data Revolution book last summer I've not had a written academic book in progress. That changed yesterday morning when I mapped out the structure of a new one. No idea when I'll get to writing it since I've three edited books on the go and a whole bunch of paper and chapter commitments. Plus the latest novel is not writing itself. Still, it's a start. And it feels good to have a new book project settled in my mind (well until I dream up another one - I've a folder full of books I'd like to write and never have!). On other news, I still have a short backlog of book reviews to post. This week expect reviews of Werewolf by Matthew Pritchard, Little Girl Lost by Brian McGilloway and The Laughing Policeman by Maj Sjowall and Per Wahloo. Harper opened his office door. Harper dropped into his chair and opened a desk drawer. The gun was in Harper’s mouth before Clarke could react. As the trigger clicked Clarke opened his hand to reveal the bullets. Harper dashed for the window, smashing through it. Clarke ambled over and gazed down. Fifty feet below two cops were wrestling with Harper on a slowly deflating crashpad. The Doc would be delighted at his murder-suicide assessment. After ten years working for the Chicago Police Department Anni Koskinen quit after testifying against a fellow cop whose actions had left a young man brain damaged. Having set herself up as a PI she’s so far only had one job - finding the teenage daughter of her best friend - and has spent most of her time renovating her apartment. When a local priest asks her to drive a quiet, well-liked church worker out of town she accepts the job without realising that she’s aiding a fugitive escape. Rosa Saenz was once an active member of a radical arm of the American Indian Movement and is wanted for the murder of an FBI agent in 1972. That agent was the father of her mentor, now also working for the FBI, and whose daughter she’d located. Despite his personal investment in the case he doesn’t counter his wife and daughter’s encouragement for Anni to work for Rosa’s defence team. The Feds and local cops are not so understanding, and nor is a group of white supremacists who are waging their own battle with the American Indian Movement. Despite the age and obvious problems associated with the case, the Feds seem overly keen to capture and prosecute Rosa. With tension rising in the city concerning post 9/11 policing and civil liberties, Anni finds herself battling to discover the truth against diminishing odds of success. 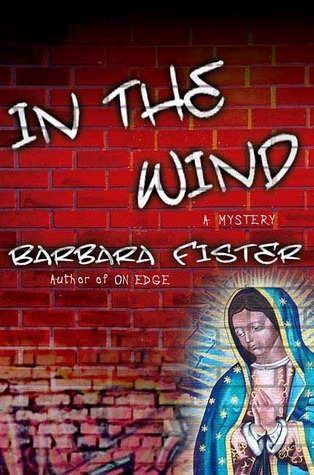 There is lots to like about Barbara Fister’s In The Wind - a strong, likeable lead character in Anni Koskinen, nice historical contextualisation, its social commentary on policing in the US post 9/11 and tensions around civil rights, and its engaging storyline. This is a novel very much of its time, capturing the social and racial divisions of American society and the divided geographies of a US city. And whilst it’s a crime thriller it takes a different path to most by portraying an alternative perspective from the typical cop or federal agency point of view. The result is a subtle but stinging critique of heavy-handed, strong-arm, politically motivated policing, and series of interesting connections to the civil rights campaigns of the 1960s. From the very start Fister ratchets up the tension and then keeps it taut throughout as Anni pings from one crisis to another, tries to track down clues, and to maintain fraught relationships. Whilst the solution to the puzzle is telegraphed from a very long way out, the tale remains gripping and the pages kept turning. Overall, a thoroughly enjoyable, politically inflected and thought provoking, crime thriller and I’m looking forward to reading the second book in the series, Through the Cracks. I've been falling behind with posting reviews again. 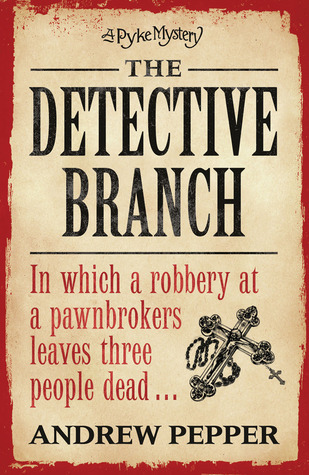 I've four written and ready to go -- The Detective Branch by Andrew Pepper, Easy Streets by Bill James, In The Wind by Barbara Fisher, and Werewolf by Matthew Pritchard. 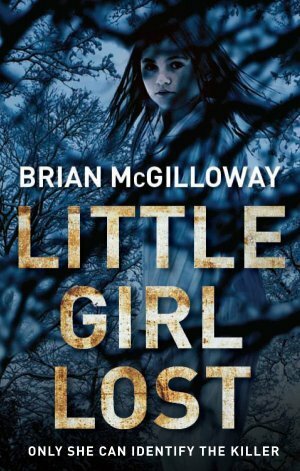 I'm presently working my way through Little Girl Lost by Brian McGilloway. I'm not sure what I'll read after that; I'll see what catches my attention on the TBR. I'll try and post three this week and probably the same again next week to catch-up. ‘Don’t switch on the lights,’ Kelly ordered. ‘What? Why?’ Dan hovered by the door staring into the dimly lit room. ‘Them!’ Kelly pointed to the large window. Opposite a condo block was lit up like a Christmas tree. A former policeman in Sudan, Makana fled in 1991 settling in Cairo. A decade later he is working as a private investigator and is hired by a struggling travel agent to determine the provenance of a threatening letter. There's tension in the area in which the agency is located: young boys are turning up dead, with a local Muslim leader using the murders to stoke up sectarian violence against the much smaller Christian Coptic community. Makana soon determines that all is not well with the travel agency’s accounts and there is more to the letter than initially thought. Then an employee is murdered, with Makana the only witness, and the police and state security services vie for control of the case. As the tension continues to rise, Makana tries to solve both the travel agency puzzle and that of the murdered boys, all the time placing himself in more and more danger. In this second outing for Makana, a refugee cop turned PI from Sudan, Parker Bilal tackles Christian/Muslim sectarianism, rising Islamic radicalism, and state security corruption in Egypt pre-9/11 head on, whilst keeping the mystery element of the story at its core. 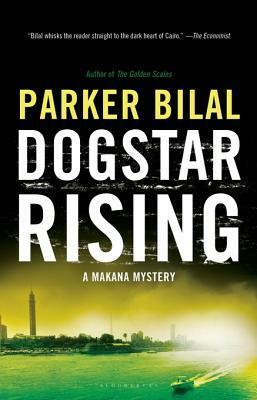 Dogstar Rising then is very much a religious/political crime thriller but one played out by relatively minor players in the everyday life of the city. That is, it’s not a political Thriller with a big T. While the case relating to the murdered children adds tension, it is the thread concerning the workings of a dysfunctional travel agency that is most interesting and takes a different path to those well worn by crime fiction tropes. Bilal does a good job of placing the reader into urban and social landscapes of Cairo and in particular its political and religious tensions. The characterisation is nicely observed, in particular the stoic Makana, who often places justice ahead of his own interests. Overall, an engaging read. Over the past couple of weeks I've been appointed onto a couple of advisory boards: the World Data System (WDS) of the International Council for Science, the government's Data Forum, and Dublinked. The first one has the added bonus of having to travel to Tokyo once a year for the next three years for meetings. As a result, the number of Japanese crime fiction reviews will no doubt shoot up. 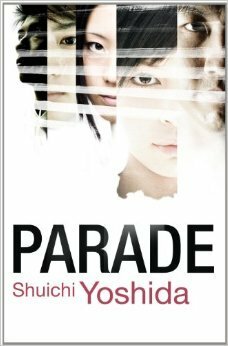 The only one I have on my TBR at present is Parade by Shuichi Yoshida. If anyone has any recommendations, I'd be delighted to hear them. Her head rolled to one side revealing a halter top stained with vomit. ‘You can’t stay here.’ The squalid room was littered with fast food wrappers, cans and bottles. In one corner a couple were asleep on a filthy mattress. On Wednesday I presented my 27th talk of the year, 24 of which were invited presentations. My three talks this week takes the grand total of invited talks to 151 (since 1995) and being a bit of a data geek I thought I’d take a look at their breakdown (I have all this data because for the last 13 years I have had to do detailed six monthly submissions on just about everything you think an academic might get up to). They’re split into 102 at conferences, workshops, symposia; 49 at departmental seminars. They’ve been delivered in 19 countries to events organised by 31 disciplines, plus general interdisciplinary and general public events. In addition, I’ve also been an invited discussant 38 times. Interestingly, to me at least, is that my work seems to have more traction/impact outside of Geography (my discipline) than inside. 28% (42/151) of my invited talks are in Geography, only one of which is a keynote/plenary talk delivered at this year’s Digital Geographies conference at the Open University. Somewhat oddly then I’m much more likely to be asked to give keynote/plenary outside of my discipline than within. The remainder of the invited Geography talks are at symposium where all/most papers are invited or departmental seminars (28/42). Here’s how the talks breakdown by country and discipline.